Getting a big group of family or friends together? Orla Neligan has 10 perfect fits for your gathering! It was the promise of afternoon tea that finally dragged my children from the enormous wooden swing in the 80-acre estate: a three-tiered feast for all ages served in Tankardstown’s cosy Tea Garden café. A walk around the walled garden and nearby woods past donkeys, horses and beehives helped the post-lunch slump. This Blue Book Georgian manor house is available for exclusive hire, or you can stay in one of seven beautifully-restored self-catering cottages, fully equipped to include child-friendly kits. While away the afternoon in one of the main house’s squishy sofas by the roaring fire, with a book and a dram, while the kids get busy with board games, before heading to Brabazon for the tasting menu (€70). The design is low-key; the menu is anything but, thanks to chef Rob Krawczyk, who has deservedly retained his title of best chef in Leinster for the second year. Best for: A traditional country house getaway. 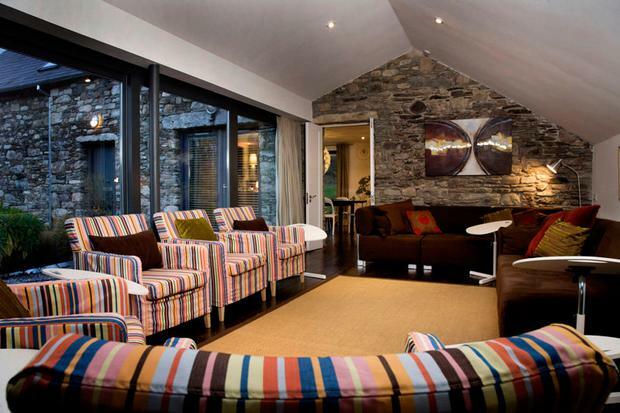 The house sleeps 14; cottages have one, two, three, four or five bedrooms. Get ready for excitement as you board the tiny island ferry, followed by an appreciative hush from the back seat once the majestic turrets of Waterford Castle come into view. Then there’s the full-blown, castle-tastic suits of armour, tapestries, log fires and five-star food (there’s a reason Condé Nast Traveler rates it among the world’s top 10 hotels). Beyond the castle, spacious three-bed self-catering houses are ideal for families — and you can even bring the dog. Movies and kids’ toys are nice additional touches, as is the golf course, and there’s a playground and Fiesta Kids Club, too. 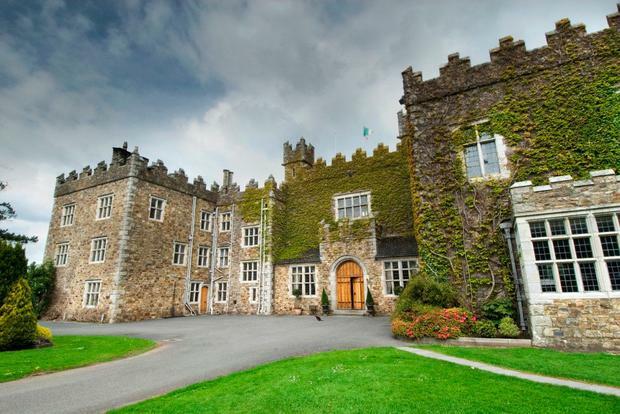 Best for: A private getaway with all the frills of a luxury castle experience. Three-bedroom lodges sleep six people apiece. This award-winning set of traditional cottages on the edge of Bettystown beach takes some beating. Six cottages, sleeping 25, have ample space, high-end luxury interiors and beach access that make them popular for multi-generation stays. A gated garden with playhouse, treehouse and swing means parents can relax without worrying about their little ones, and ‘Thatcher’s Rest’ was recently named Europe’s Best Beach Holiday Home. The cottages are self-catering, but several family-friendly restaurants are close by. Best For: Beach-loving families — these cottages can suit two to 25 people. 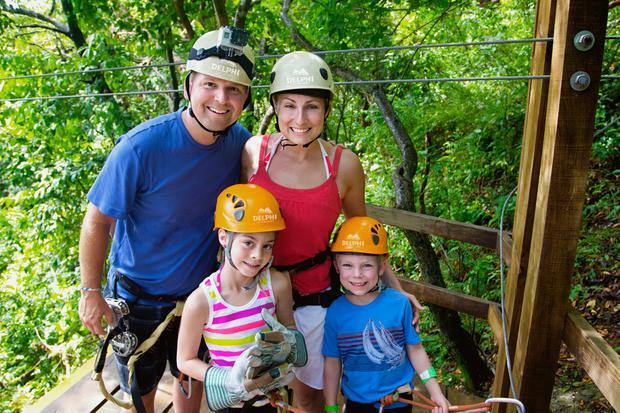 There are no excuses for boredom at this scenic, family-friendly adventure resort. An hour after arriving, I was zip trekking my way through forests while my kids screeched with delight through a maze of tunnels below me. Packed with high-octane activities such as coasteering, climbing, abseiling and canoeing, it’s probably best suited to families with older children (8+), but grown-ups will appreciate the spa, thermal suite and two-storey accommodation (sleeping six), and there’s plenty of space to spread out. Best for: Budding adventurers and stressed parents who need spoiling. Family getaways don’t usually bring a Georgian manor to mind. But Justin and Jenny Green’s charming country pile, just a short drive from Fota Wildlife Park, walks the line between subtle grandeur and farmhouse fun — making it a perfect multi-generational getaway. Expect morning trips to collect eggs from the hens, rides on Justin’s tractor, a tree house to explore and glamping on the vast estate. High tea is served at 5.30pm for the little ones by the owner’s children, giving adults a chance to enjoy the acclaimed restaurant and the estate’s legendary tipple — the award-winning gin, Bertha’s Revenge. 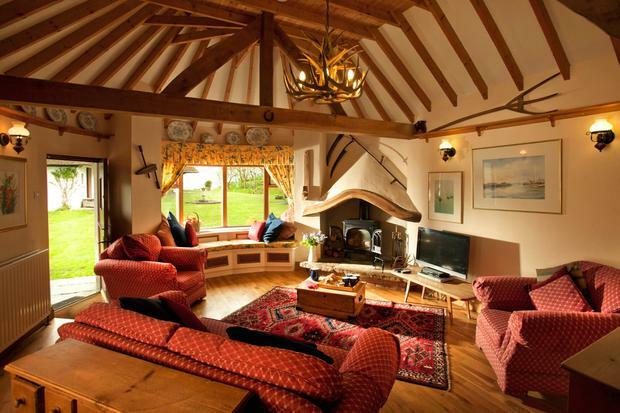 Best for: An upmarket farm getaway (the house sleeps 12-14 people). Fancy your own private island? This luxury retreat in Clew Bay off the coast of Mayo offers a getaway for dozens of people in five island cottages with access to an infinity pool, gym, spa, private chef and butler. Just about anything can be orchestrated by the hosts - from boat trips to fishing, horseriding or massages. It’s the ultimate upmarket escape and about as remote as you’ll get. Best for: An outdoorsy family celebration for up to 36 people. 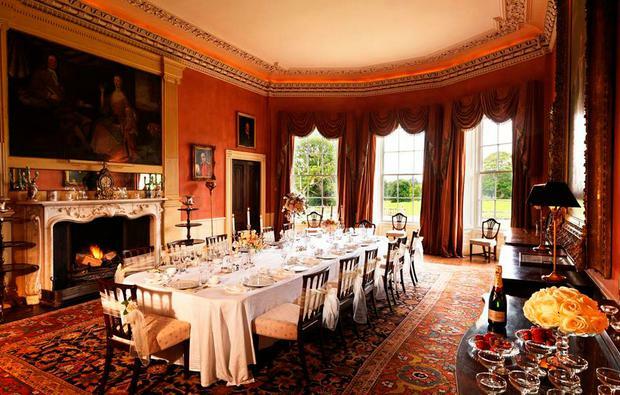 Fancy living like the Granthams for a night in Derry’s own Downton Abbey? The entire brood can enjoy the elegant delights of its games room, library, indoor pool, home cinema and 1,000 acres of rolling parkland. There’s even a butler to cater to your every need. Young history buffs will enjoy the house itself, which dates back to 1837 with many original features. For the more active, there are several world-class golf courses, Carrowmena Activity Centre and the Giant’s Causeway. Best For: A cultured house party for up to 16 guests of all ages. If you like… try this: Sleeping 10-12 people, Castlecoote House in Co Roscommon is one of several Hidden Ireland (hiddenireland.com) properties worth a browse for get-togethers. It’s got a full-size billiards table and two tennis courts among the 17th century grandeur. 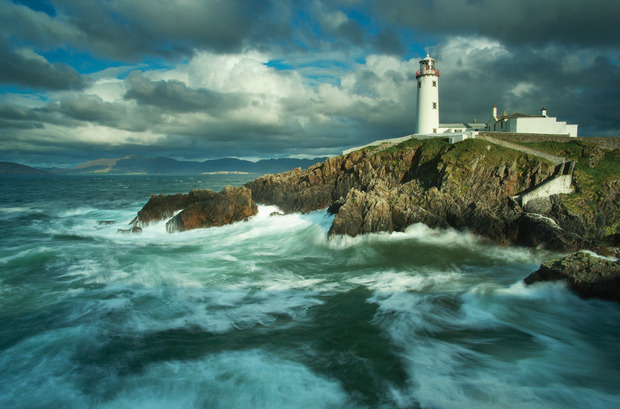 Winds howl, waves boom and neighbours are scarce: as sleeping experiences go, you couldn’t get more unique than a lighthouse and now, thanks to a new tourism initiative, you can stay in eight lighthouse keepers’ cottages around Ireland, many of which offer a chance to experience how these hardy souls used to live. With stunning views over Lough Swilly, Donegal’s Fanad Lighthouse sleeps up to 10 guests in three cottages. Blackhead Lighthouse in Antrim has three cottages that sleep up to 16 and contain interesting fragments of lighthouse paraphernalia — bound to be a memorable adventure. Wish to leave the mainland entirely? Take the ferry from Roonagh Pier for a night at Clare Island Lighthouse in Clew Bay. Best for: Thrill-seeking families with up to 16 guests, depending on the site. Stylish interiors and spacious gardens? Check. A well-equipped kitchen and large dining room? Check. Complete seclusion? Check. This award-winning cluster of beautiful stone buildings has everything you’ll need for an extended family getaway. The owner, Pat McCarthy, has gone to great lengths to create a cosy and welcoming retreat with high-end artwork and contemporary furnishings. 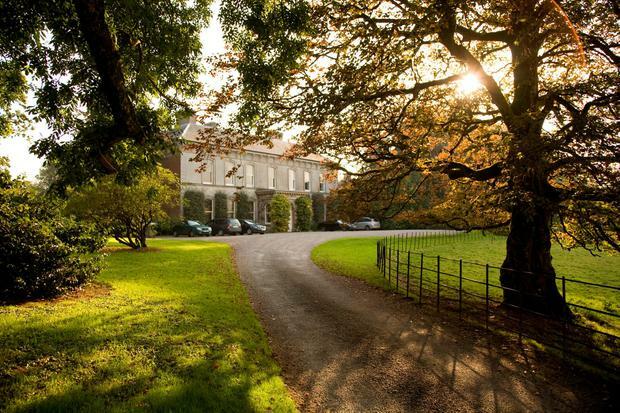 A grocery shopping service is available, or you can avail of a private chef, there are games, DVDs and books for the younger members of the family and it’s within easy, day-tripping distance to the historic village of Inistioge and Woodstock Gardens. Best For: Extended family get-together, sleeping from four to 22 people. It may not be uber-trendy, but this four-star hotel is a solid choice for families and extremely well-run by charming staff. 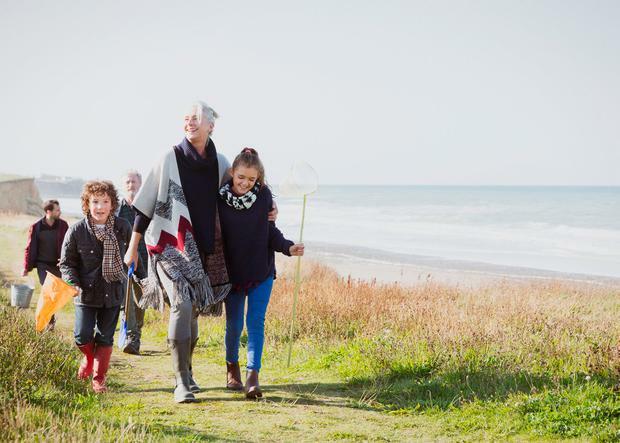 There’s plenty on offer for kids of all ages with the complimentary GoKids club — including arts and crafts, pony rides, rock climbing, surfing and disco dancing. The hotel has an 18m pool, there’s a riding centre just five minutes away (gotrekking.ie, above) and separate movie rooms for teens allow parents and grandparents get some grown-up time in the spa, too. Best for: Budget-conscious and active families (family rooms sleep up to six). Details: €499 for a three-night stay (dinner and B&B) for family of four.See westportwoodshotel.com. Big booking engines have their uses, but when it comes to group getaways, pick up the phone. Calling a property directly allows you to bargain, and gives you a chance to talk through your own, specific needs. You’re spending big... so ask them to make it special! NB: All prices subject to availability. Some accommodations are open seasonally — always check ahead for details.